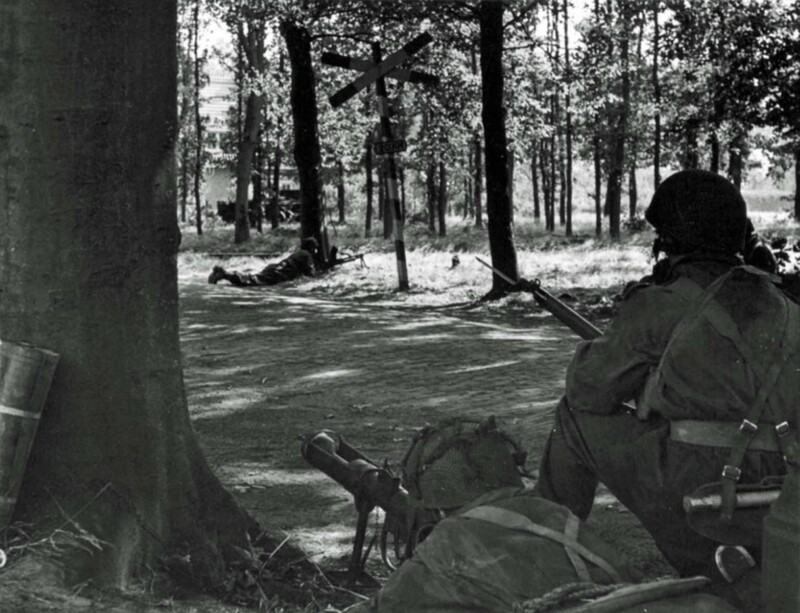 Paratroopers during the operation “Market Garden” on September 18, 1944 near the railway station Wolfheze in Holland. In the foreground, the English PIAT team (Projector, Infantry, Anti Tank, Mk I) made for shooting, next to – additional grenades. Other paratroopers are armed with a Bren gun and Lee Enfield rifle.